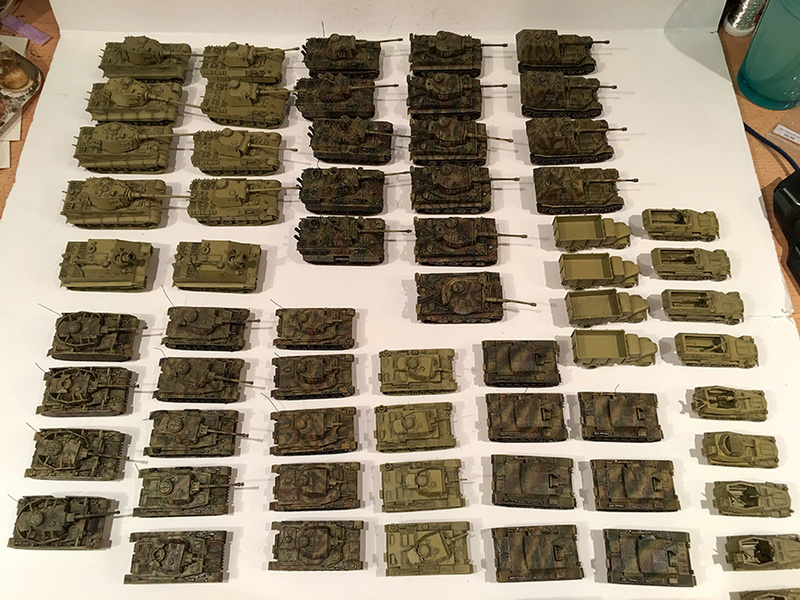 This Sunday is the third Sunday meeting at Lost Ark Games and we are planning on doing some Bolt Action Tank wars but with 15mm (or 1/100) scale models rather than the Bolt Action 1/56th standard. 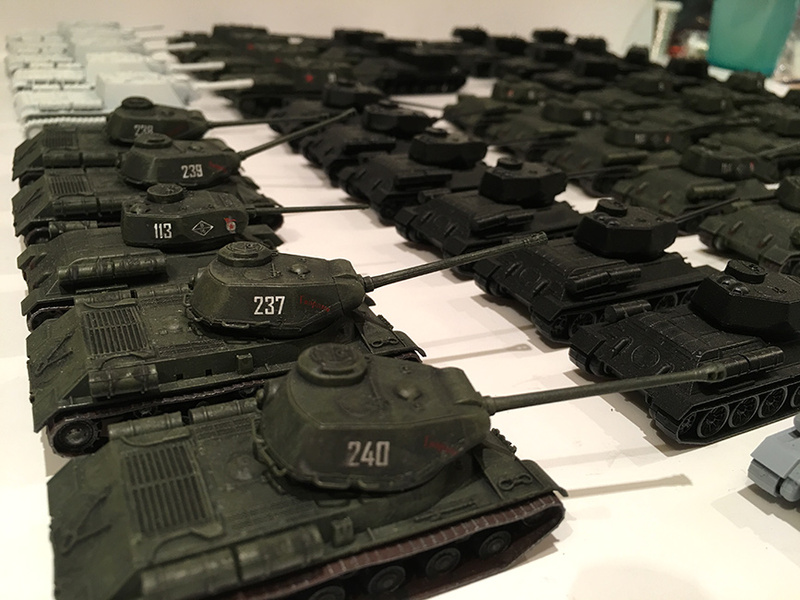 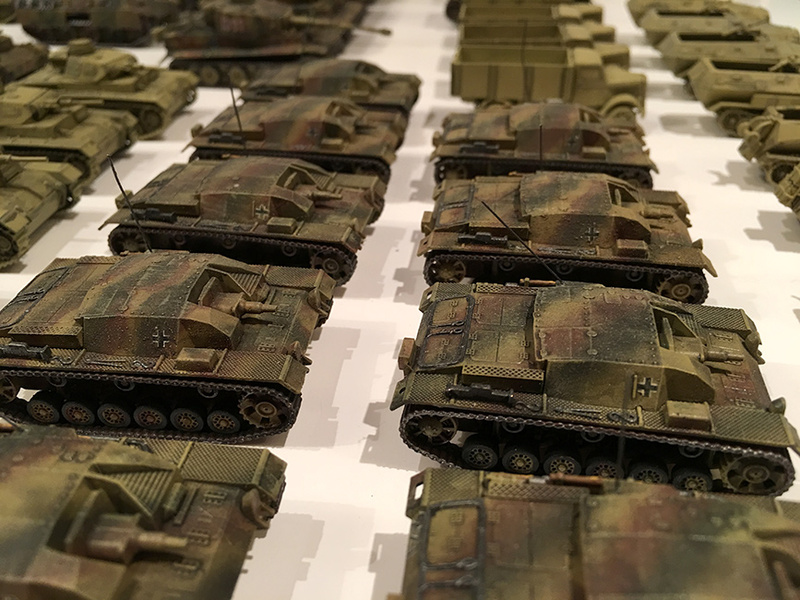 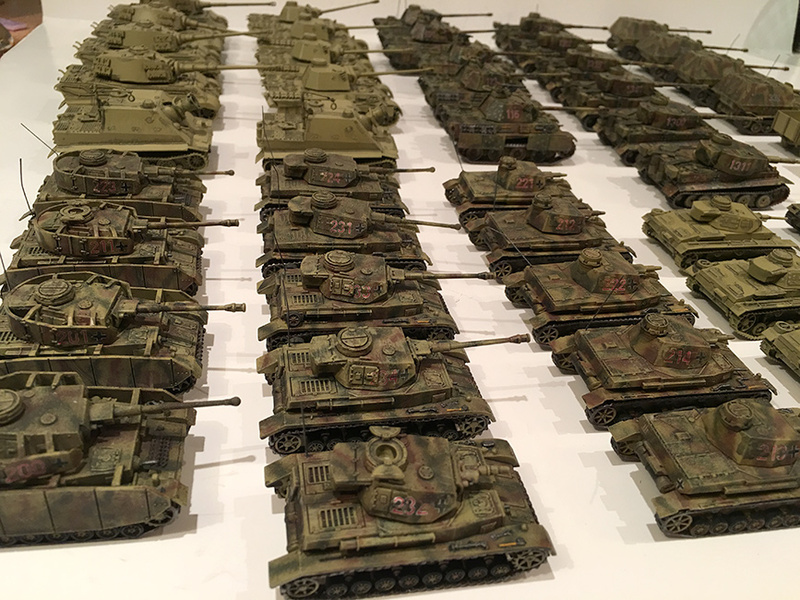 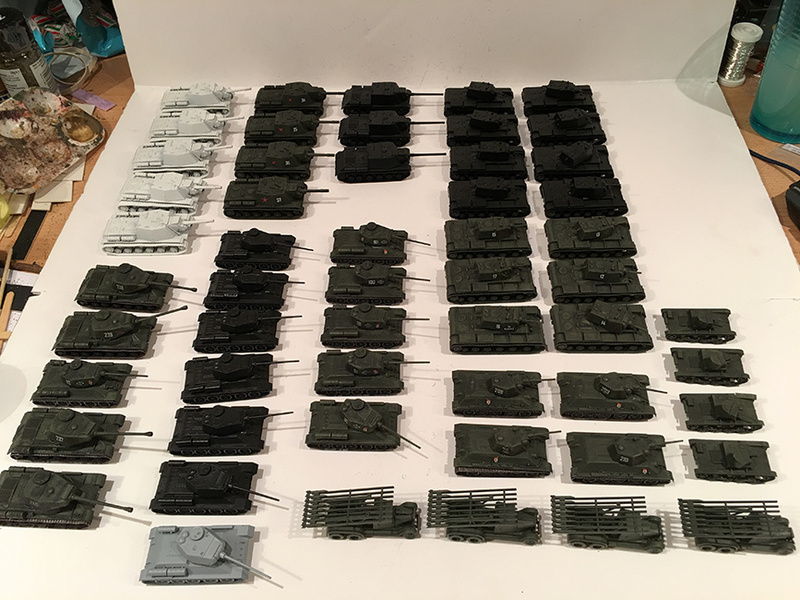 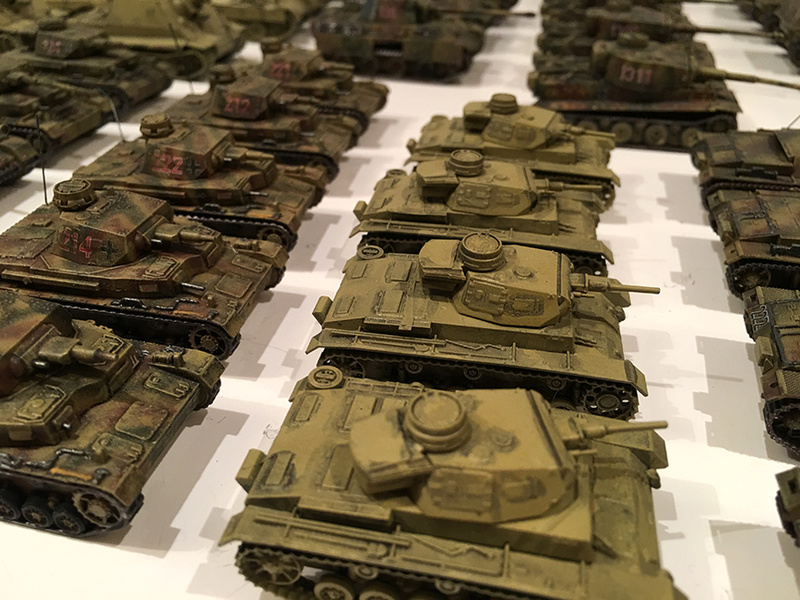 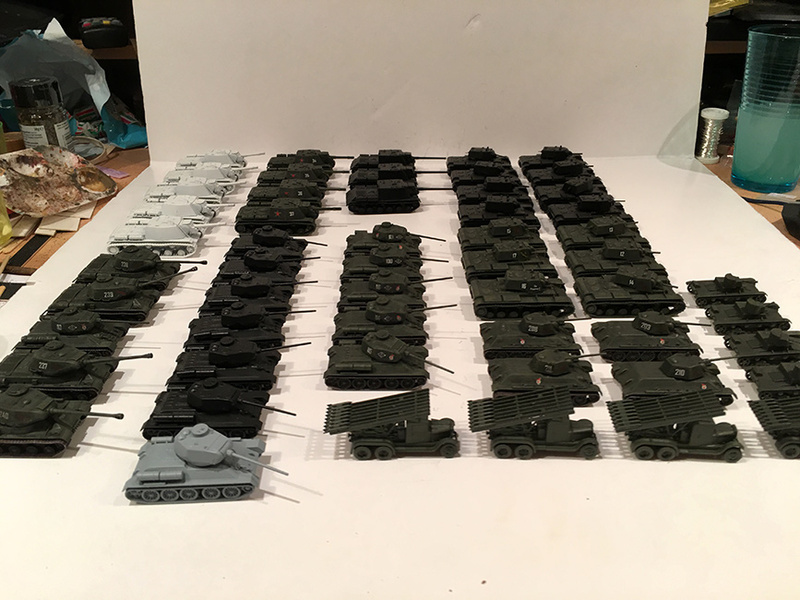 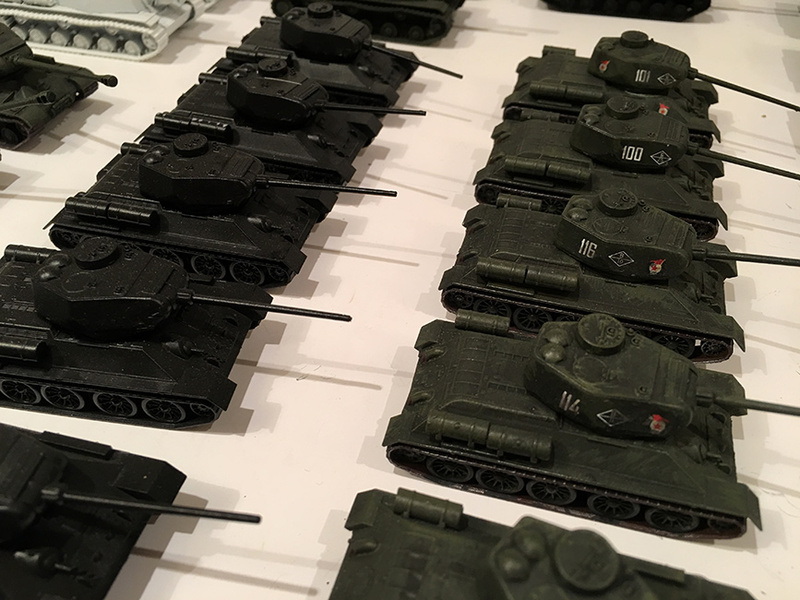 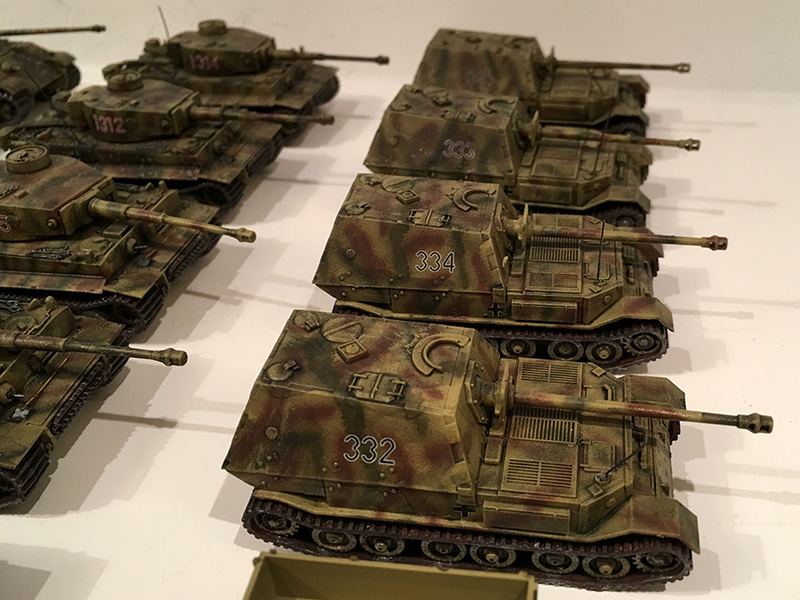 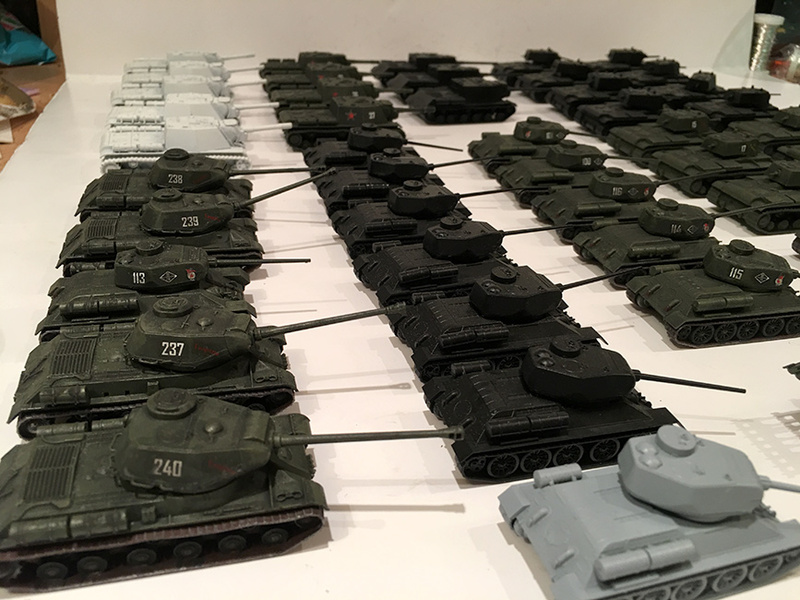 I started collecting 1/100 tanks before I knew about Bolt Action and I built up quite a nice collection. 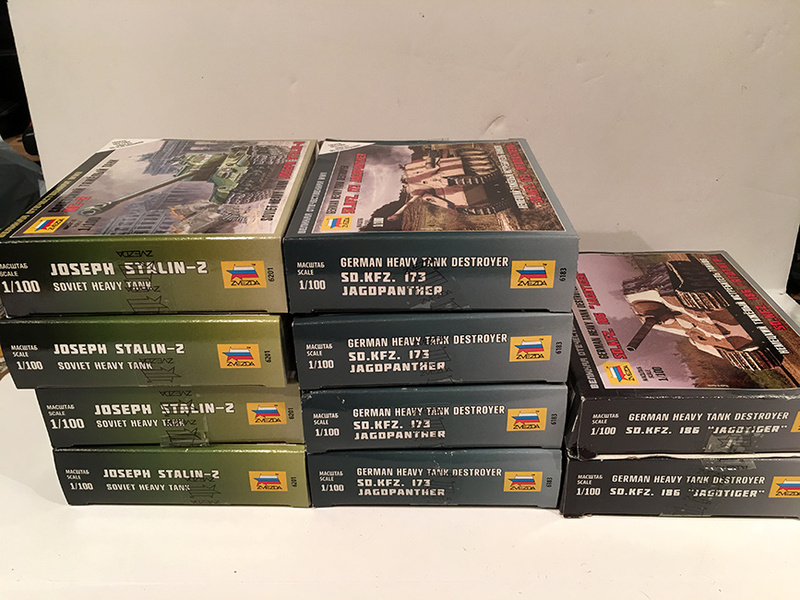 I initially planned to solo wargame with them using the Battlegroup rules but I’ve never actually tried it yet and then discovered Bolt Action. 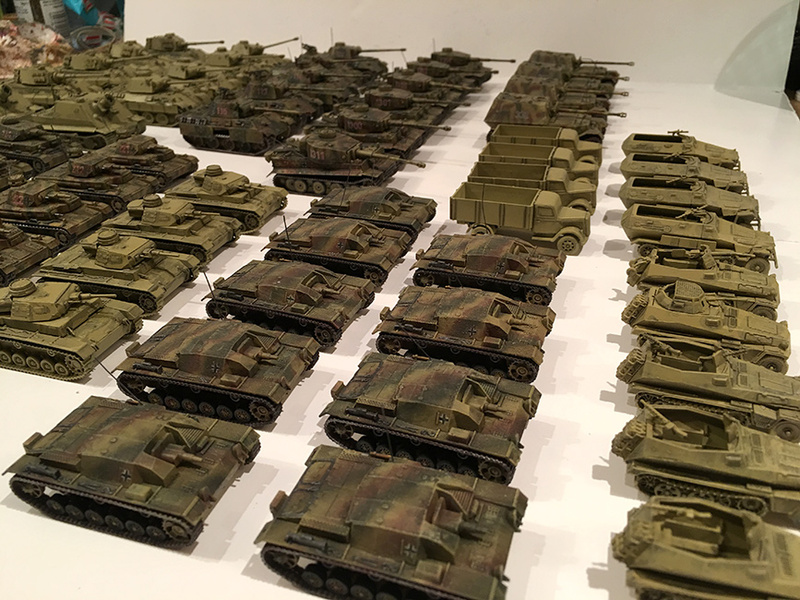 So this week I thought it might be nice to get the old 1/100 models out and see what I had. 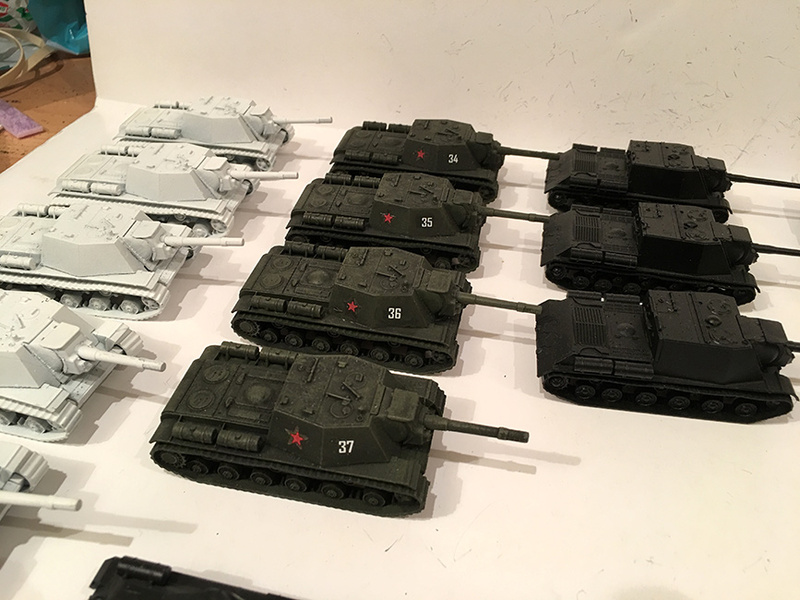 All the models are by Russian company, Zvezda, who produce a nice range of models, detailed enough for the scale but quite cheap. 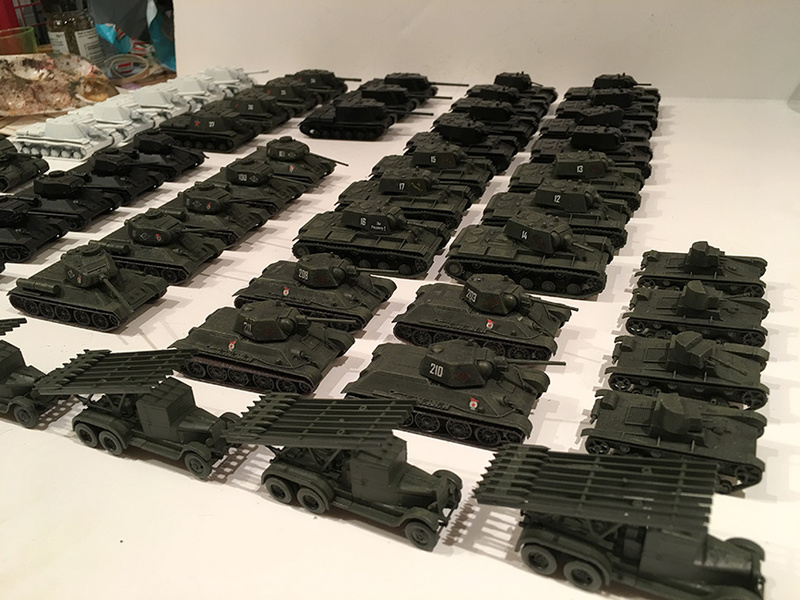 When I got most of these they were only £2.50 each, though now they retail for more like £3.50. 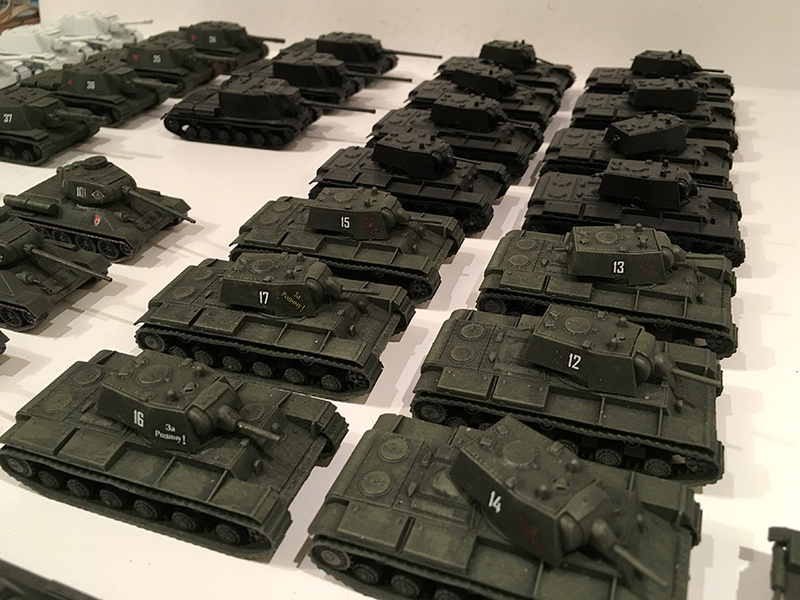 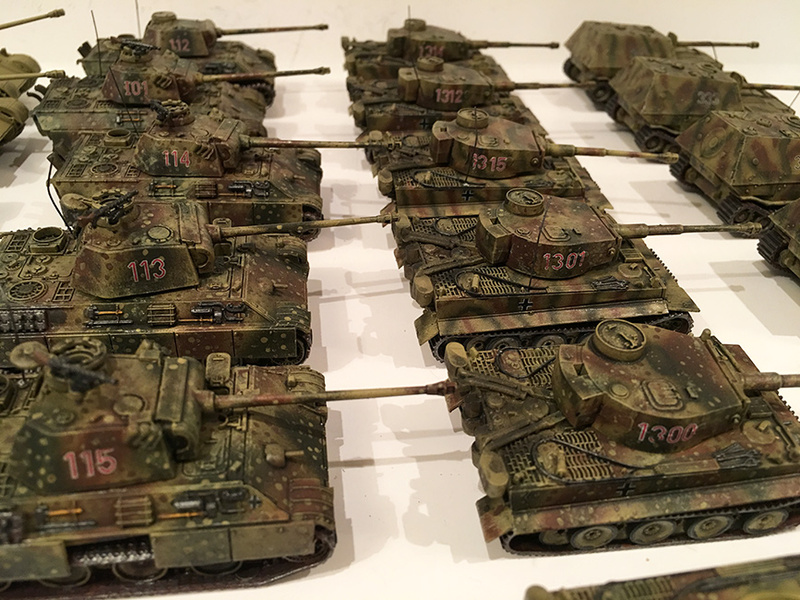 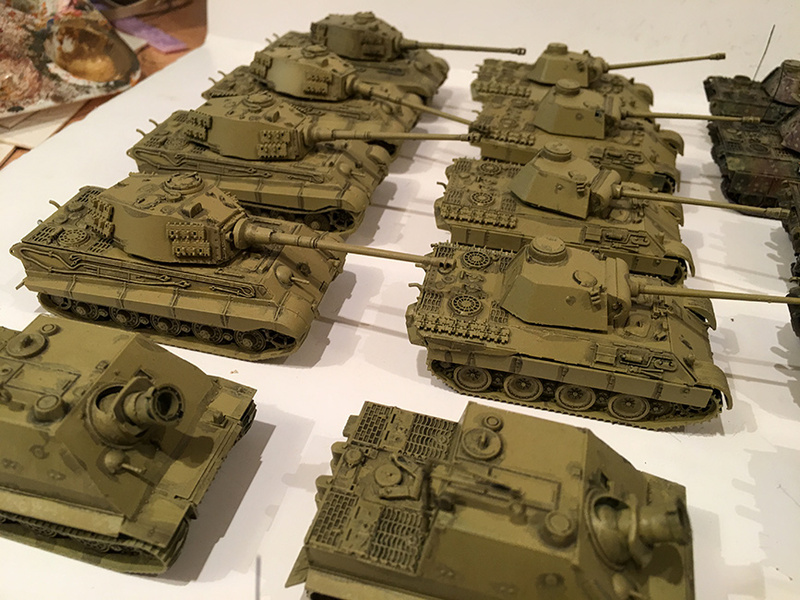 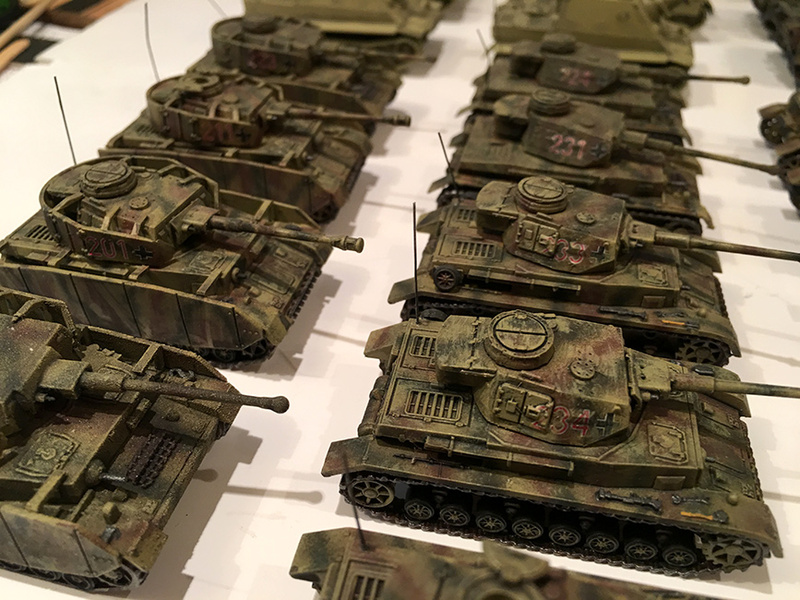 I currently have German and Russian armies most of which are painted up and ready to fo, so hopefully some will see action on Sunday.